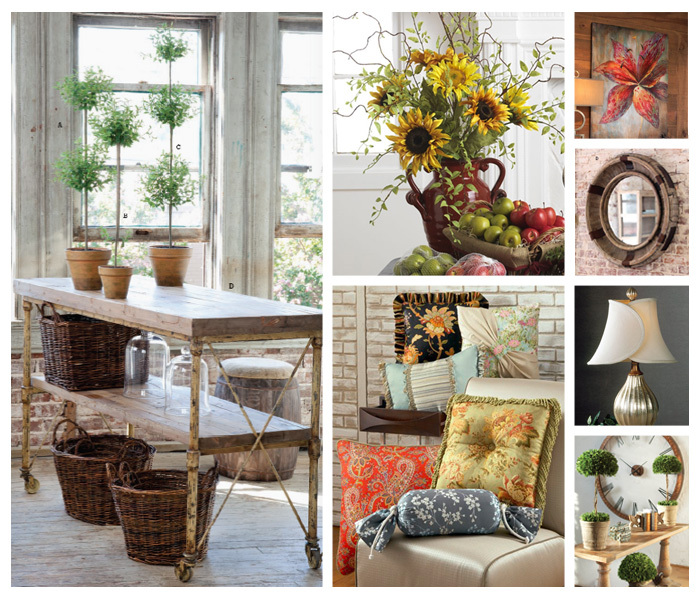 Show your personality, style and spirit throughout your home with the use of accessories. Whether it’s a giant clock, a collection of framed prints, an awe inspiring piece of art, lamps, silk flowers and or topiaries, you would be amazed how a room can go from blah to brilliant. Change out the toss pillows on your couch or a custom sized bench cushion for your mud room or kitchen. Add a charming accent rug to any room for a punch of color. Showcase your favorite memories in beautiful picture frames. Display your own collection of shells, wine corks or your vast accumulation of buttons in our appealing transparent apothecary jars. Combining these elements in various ways, you then in turn create a statement all your own. Just remember, the smallest touches make the largest impact.